Castor and Pollux rocks. 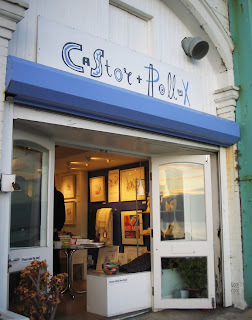 It's a great little gallery under the arches on the Brighton seafront showing and selling art, design, books, jewellery and stationery niceness. I can never resist popping in when I'm passing. 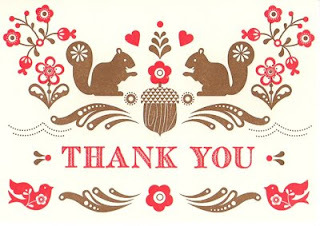 I picked up these letterpress squirrel thank you cards made by Hello Lucky which I think are rather special. You can't get a better combo than squirrels and letterpress, no siree.